I am unable to use Function keys in Windows virtual machine. The function keys are being assigned to a different action or cannot be revoked. The keyboard mapping has not been set properly. NOTE: If you are using a new MacBook Pro (Late 2016) with Touch Bar, use Fn key to display function keys on the Touch Bar while using Parallels virtual machine. If you want function keys being displayed on Touch Bar by default, please refer to this article. Make sure Parallels Tools are installed in your Virtual Machine. Install or reinstall Parallels Tools if necessary. 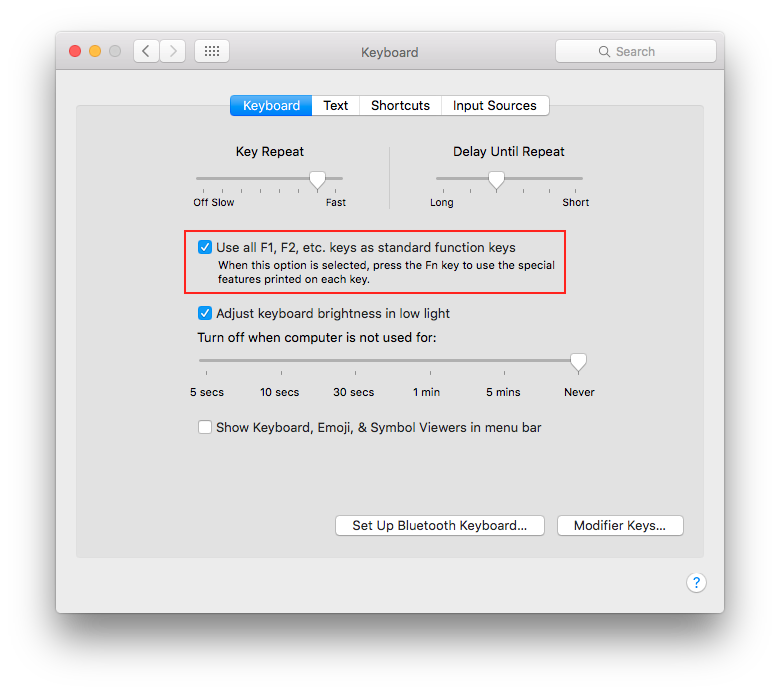 Open System Preferences on Mac ► Keyboard and enable the option: Use all F1, F2, etc. as standard function keys. 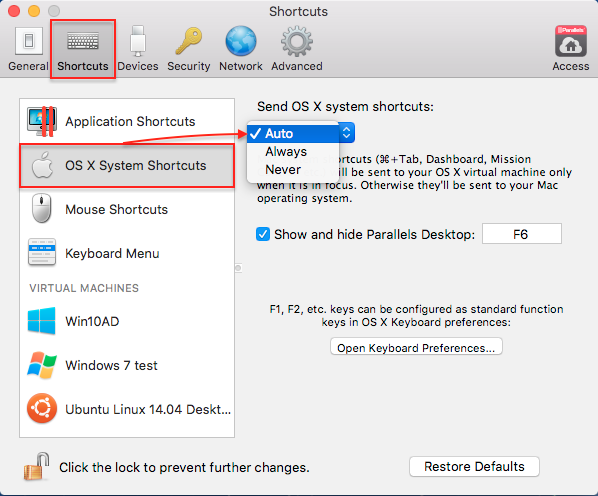 Open Parallels Desktop Preferences and go to Shortcuts tab ► OS X System Shortcuts. From Send OS X system shortcuts drop-down list chose Auto to pass shortcuts into the virtual machine only when it is in focus or Always to always pass shortcuts into the virtual vachine.